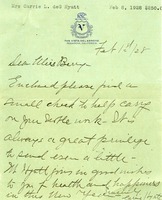 Miss Peck wrote requesting Miss Berry to write to Harold W. Peck who is involved in Christian Service work in New York and recommending Harold for employment at Berry. She includes a detailed work history. 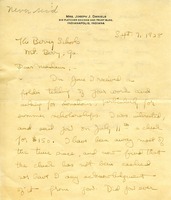 She reminded Miss Berry that she is still trying to sell an 1869 pearl necklace; the proceeds will be donated to Berry for a memorial. 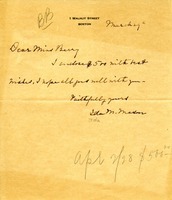 Miss Peck enclosed a check for $5.00. 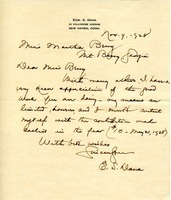 Ida M. Mason encloses a contribution of $500. Hyatt encloses a contribution and explains that he and Mrs. Hyatt will not be able to visit the school. 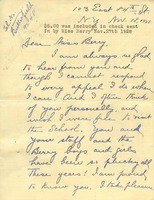 Miss Dyball and friend send a contribution for the Berry Schools. A check was sent for $150.00 but was not cashed. 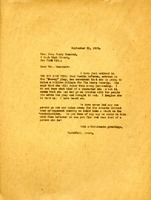 Mrs. Daniels is offering to send another one but would like information concerningr first one. 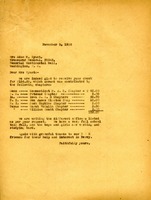 Gift of $75 for the education of a young girl. 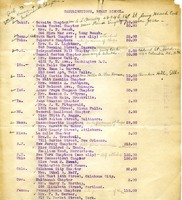 The return receipt should be sent to Constance Warren at Dana Hall Schools, Wellesley, Mass. 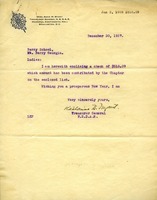 Appreciation for hard work and reminder of $10 donation given on Mayk 21, 1928. 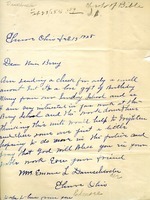 Gift of birthday money from Sunday School to Berry School. 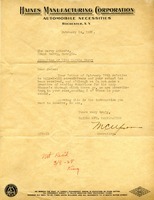 A letter containing a contributions listed by state. 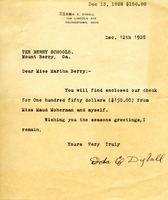 Gift of $518.09 to Berry School.